It seems my 12-minute stab at being a comedian at Bright Club Wales has led me to the dizzy heights of fame. 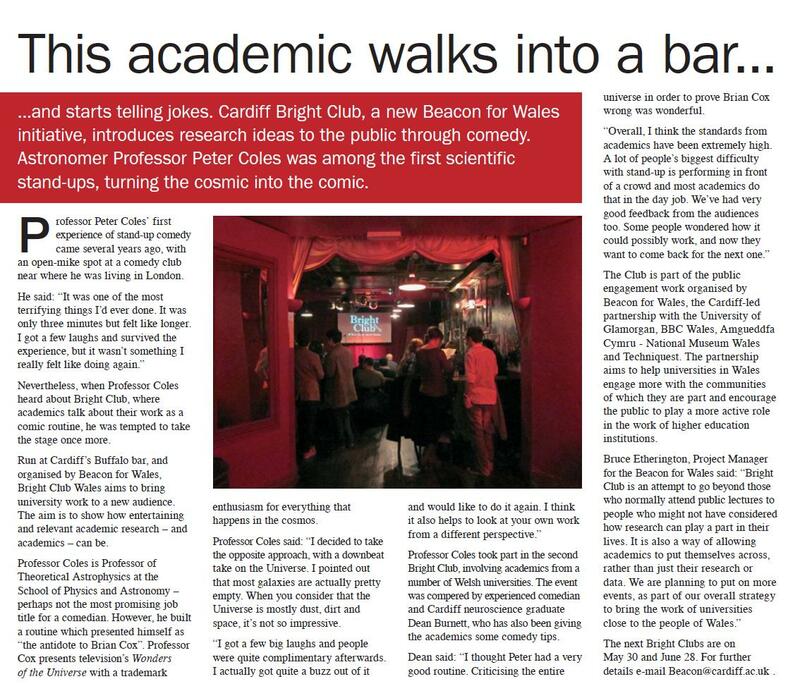 So much so that I’ve even appeared in the latest issue of Cardiff University News (which you can read online here). Here’s the piece, though you might need to click on it to make it big enough to read..
Incidentally, the next Bright Club Wales will be on Monday 30th May, at the Buffalo Bar in Cardiff. I’m sure it will be fun! It’s all completely untrue, of course. *Cough*. Anyway, as you will probably know, the Science and Technology Facilities Council (STFC) is introducing a new system of grants this year and the deadline for the first set of applications for the new “consolidated grants” was 4th May, which passed last week while I was away on holiday. Just before leaving I attended a preliminary meeting in London of the Astronomy Grant Panel, of which I am a member. In fact, I delayed my departure specifically in order to attend the meeting. The things I do for science. At the meeting we discussed a number of issues relating to the new system in order to be ready to get on with the business as quickly as possible when the applications are all in. The timetable is very tight if we’re going to be able to get our recommendations finalised in time for STFC to make announcements in October, as is planned. Thew new system is going to mean a huge amount of extra work over the summer for the panel members, doing what was always a thankless task in the first place. Of course I’m not going to write anything on here about the actual process of assessing grants, and certainly not about individual proposals or outcomes. Anything that’s not confidential about the procedure is already explained quite clearly on the STFC website too, so there’s not much point going over that again here. It would also be inappropriate for me to give the impression that anything I put on here is in any way the official AGP (or STFC) line. The graph shows the number of astronomy postdoctoral research positions funded by STFC (or its forerunner PPARC) as a function of time. The steep decline in recent years has been widely discussed. My own view is that it will be disastrous in the long term if steps are not taken to rectify it soon. The STFC budget for astronomy grants is fixed for the next few years at a level corresponding to about 60 per year, similar to the number announced in 2010/11. Now the new consolidated grants will incorporate existing roling grants (which were reviewed on a three-year cycle) and standard grants (which usually lasted three years). A large number of positions announced in 2008 will therefore be hoping for renewal this year. On top of those there will be proposals requesting new positions and other rolling grants coming into this round before their usual renewal date in order to merge with others from the same institution. I don’t know the actual numbers applied for this year – and couldn’t tell you even if I did – but it’s not unreasonable based on the figures shown in the graph above to estimate that about 100 PDRA requests will be made, and possibly many more. A significant fraction of these (perhaps 2/3) will be people employed on existing rolling grants hoping to be continued in a new consolidated grant from 2011 onwards. I probably don’t have to spell it out any further, but it’s clear from the graph that the arithmetic is very tough. Even without any new requests this year, only about 2/3 of the positions funded in 2008 can survive. In reality there may be more than 100 souls standing on deck, but the lifeboats can only hold 60…. My body clock is having a bit of struggle adjusting to Welsh Summer Time so I thought I’d confront my insomnia by posting the following story…. One summer morning in 2005 I rose early and left my house – I was living in Nottingham then – and took a train to London. I was quite excited. 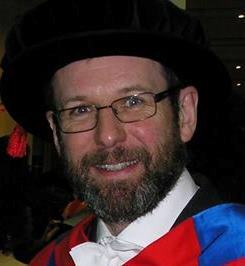 I was going to be interviewed later that day for a programme in the BBC TV series Horizon called The Hawking Paradox. The filming was to take place inside the Café de Paris near Piccadilly Circus, for the simple reason that it wasn’t used during the daytime, and would therefore be both quiet and cheap to hire. I was keen not to be late so I got a train that was due to arrive at St Pancras Station in London at about 9.30am. I enjoyed the filming, although it took quite a long time – as these things do. Breaking for lunch in a local pizzeria, we were surrounded by a hubbub of excitement when news broke that London had been awarded the right to stage the 2012 Olympics. We finished the filming and I headed back to Nottingham on the train. All-in-all it had been a very pleasant day. 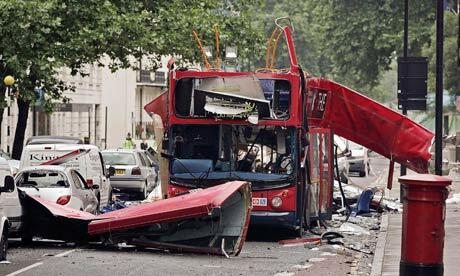 Last week the inquest into the terrorist attacks on London delivered its long awaited verdict into the terrible events of 7th July 2005, the day after my trip. Here is a picture of the postbox in Tavistock Square taken on 7/7/2005. The bomb that tore the roof off the bus and killed 13 people went off at 9.47am, almost exactly 24 hours after I had been in precisely the same spot. Spooky.